Another useful feature in iStratus® DayPlanner is the PCS (that stands for Personalized Calendar System). Fully integrated with Apple's calendar, the PCS allows you to quickly/easily customize the look and feel of an event or appointment. It may surprise you how super helpful this is when viewing your day's events. 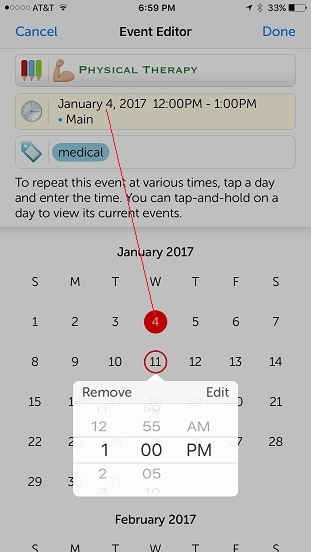 The PCS also has a very unique feature — you can easily create recurring events with varying dates and times. 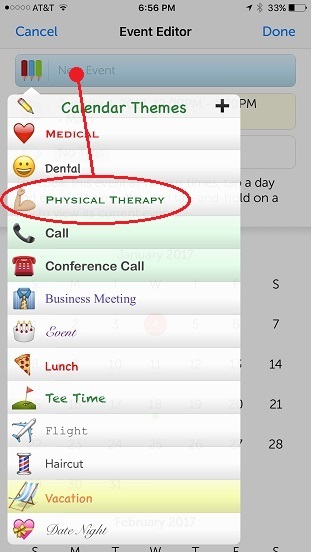 For example, let's say you are scheduling several physical therapy appointments, tentatively every Wednesday at 12PM. Looking through your calendar, you find that works for many Wednesdays but some of them are already busy in some way. Well, now you are in for spending a lot of time trying to schedule all of these - not fun. With PCS, it's a snap. 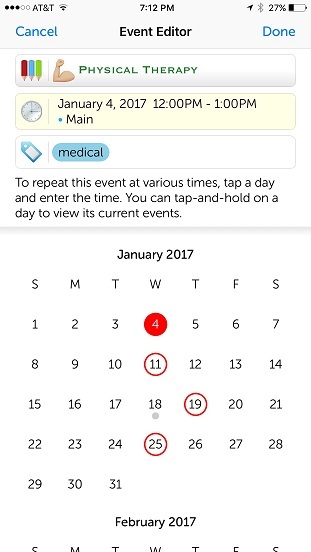 Take a look at our screenshots below to get an idea of how easy it is to use PCS in iStratus® DayPlanner.